The Mountain Bike – XCO – Olympic Cross Country Track is a facility intended for the practice of this Olympic sport, which provides suitable routes for the practice of this activity, with safety and recommended features for the conduction of official competition events, according to the activity general regulations published by UVP/Portuguese Cycling Federation and by UCI (Union Cyclist International), the supreme body that manages and regulates world cycling in all its aspects and regulations. 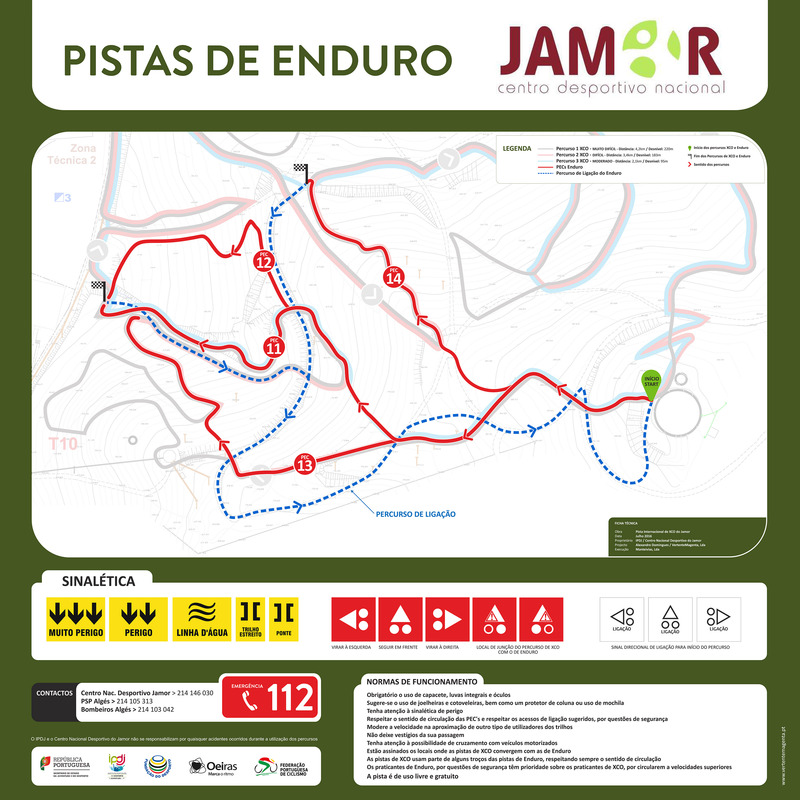 The facility also includes several Endurance routes, also duly identified and with appropriate signs, that intend to regulate and create proper conditions for the safe practice of this activity. 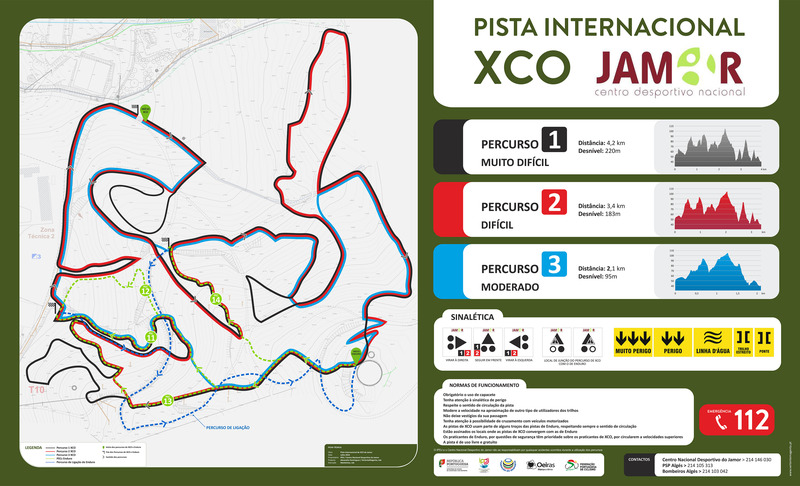 The use of the XCO / Endurance tracks is free.